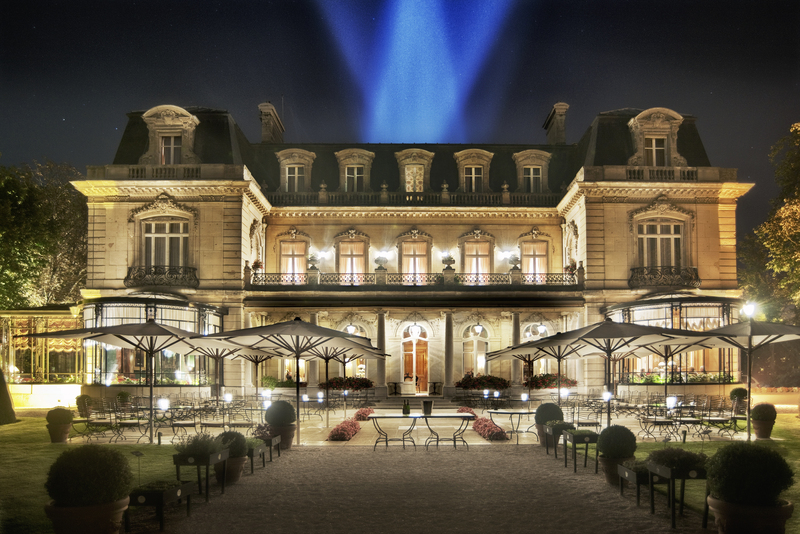 Set in the heart of the Reims countryside, Domaine Les Crayères is a world renowned hotel within the setting of a stately home, all nestling in seven hectares of verdant, lush parkland. Built in 1904 by the Marquise de Polignac, the home has played host to some of the world’s most prestigious showcases, including the world’s first aviation event in 1909. It continued to be a family home right through the decades until, in 1983, it was reinvented as a luxury hotel that celebrates the Art de Vivre (the art of stylish living). The name of the hotel comes from the underground network of passages that the house is built upon; Crayères literally means a cellar dug into chalk. With just twenty guest bedrooms, exclusivity is almost guaranteed, although of course, people do travel for miles to sample some of the two Michelin-starred cuisine that is offered in the gourmet restaurant ‘Le Parc’. Along with the gourmet dining experience, chef Philippe Mille also offers a more informal dining experience within Le Jardin; simple and modern are the watch words for this restaurant – perhaps a place to unwind after a long day, rather than dressing for the occasion. The ethos behind the hotel is to offer an unbridled level of hospitality with a personal touch, but also to celebrate the Champagne houses and the Champagne region in general; their Champagne list is perhaps one of the most comprehensive, not just in the region, but the world. Each of the twenty bedrooms has an aristocratic title, all styled individually, but as you’d expect – keeping with the theme of a French stately home. The balance between comfort, luxury and style have been achieved perfectly; visually you feel ensconced in luxury from the world gone by, but look closer and you’ll find the trappings of a modern world from smart media to high-speed Wi-Fi internet. Everything has been brought together seamlessly without being intrusive. Domaine Les Crayères is the perfect destination hotel, there is simply no need to go elsewhere, but should you choose to explore the surrounding area, you’ll find such highlights as the Church of Notre Dame and the Saint Remi Basilica just a short ride away; these alone should be on everyone’s must-visit list. An evening at Le Parc is an excellent way of rounding off the day, but be aware that you need to book quite some way in advance. The restaurant seats 120 people, and although there is a taster menu, Chef Philippe Mille changes the gourmet menu daily to best showcase the ultimate in fine French cuisine – everything is cooked from fresh local ingredients, sourced each day for the ultimate dining experience. Looking to work up an appetite? Head to La Rotonde, the hotel’s informal bar. This beautifully appointed bar has a stunning floor to ceiling glass entrance and window, it looks fabulous during the day, but night time lighting really brings it to life. Inside the bar, you’ll find nothing but comfort and relaxation, and of course, numerous different refreshments to tempt your fancy. A stay at Domaine Les Crayères isn’t just about somewhere to rest your head at night, it takes you to another world that encompasses the luxury you’d expect but all the while feeding your sense of history, surrounding you with something that you can’t quite put your finger on, but you can feel it – Domaine Les Crayères call it a house with Soul, Heart, Body and Spirit.